Browsing articles tagged with " lazada"
On March 18, 2018, HostScripter Web Services is finally at Lazada. Because of this opportunity, we are giving discounts if you order at our Lazada shop instead of directly making order here at in our Website. 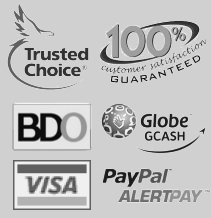 We have also less P50 pesos for first 10 customers using the voucher code “HOST50LESS”. Register for a Lazada account is fast and easy. Lazada will send a link to your email address that will enable you to create your new password. Once changed, you can now log in to your account with the new password. How to Order your Web Hosting? Login at your Lazada account. 4. Click the the ADD TO CART button. 5. Click the PROCEED TO CHECKOUT. 7. Select Credit or Debit Card (Any Mastercard or Visacard) and input the details on as shown in the screen. CVV code is the 3-digit code found at the back of the card. Input “HOST50LESS” at the voucher code field to get P50 pesos discount. 8. Click PLACE YOUR ORDER. 9. You will receive confirmation of your order via SMS and you’ll be asked to fill out information. 9. Wait for your hosting account to be sent to your email address within 24 hours.